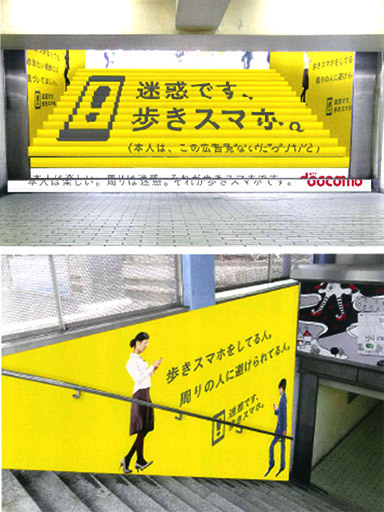 NTT DoCoMo, Inc. (hereinafter, DoCoMo) is, as the efforts of Manners and prevent accidents (walking while staring at the screen of the smartphone) walk smartphone, and provides current “relief mode” walk smartphone protection will be provided from December 5, 2013. If you walk while looking at the smartphone, “walk smartphone prevention function”, is the ability to display a warning screen detects that it is walking. While the warning screen is displayed, it will not be able to operate the smart phone. Monthly fee is free, and complete the installation of “relief mode” app, available immediately if you can set the “walk smartphone protection”. For walking smartphone prevention, until now also, we have an ongoing basis and advertising website, awareness-raising activities by the “Mobile Phone Safety Class” etc. DOCOMO. Function provision of this time, is a new initiative which aims to protect the accident the youth you think the risk of walking smartphone is particularly high, have you use the smartphone more in peace.